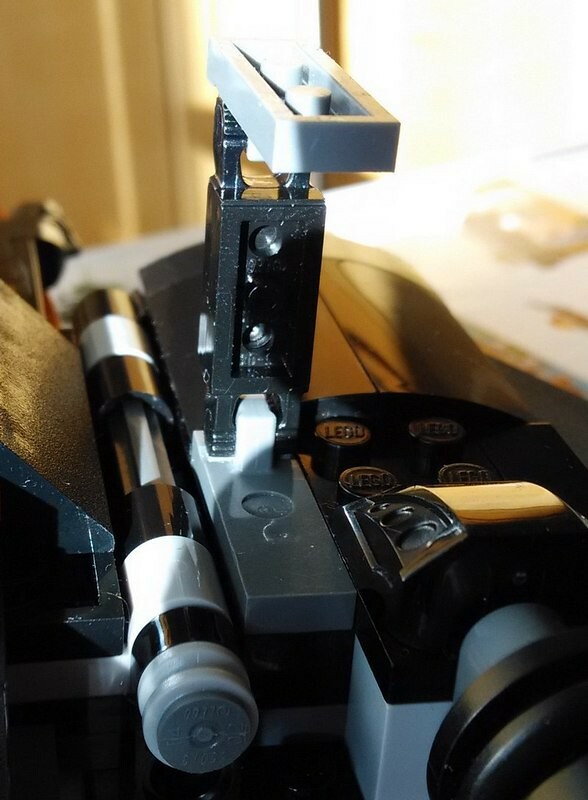 - the way the thrusters (or engines? sorry for my English) are connected... oh my god. I can still not understand how TLC could release it that way. - landing gears on the back, not only their lack but the solution for them... it is just ugly, very ugly and impractical. I am not keen on model accuracy so originally I did want to fix the wing problem (placing them behind each other) not to mention I also was convinced it was not possible to build them the way that they would remain stable (because you can attach them only on the top side without any strenghtening from the bottom). 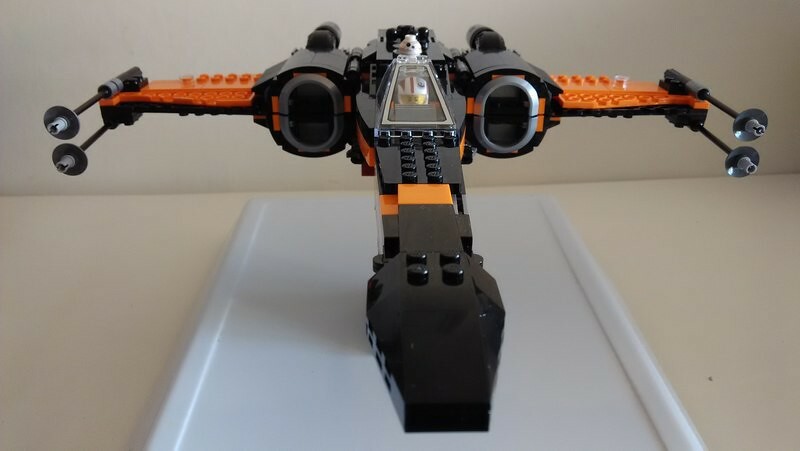 So originally I just wanted to place the wings back like LEGO did it. But during the experiencing process I saw a chance to at least to try it and gave it a go. 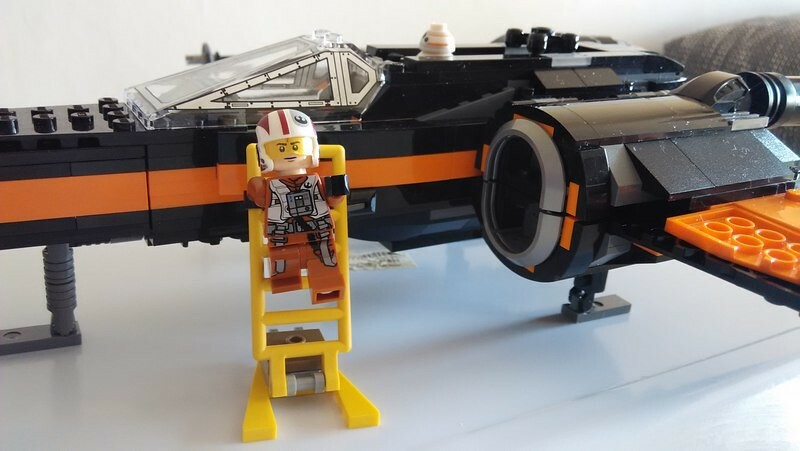 When I finally got it right for the first time and took a look to the result I immediately fell in love with their look and there was no way back to the LEGO version. Fortunately they are sturdy enough this way as well, they do not fell off at all. My aim was also very clear: to create a rubber band system with rubber bands which are not visible from the outside and are placed in the middle of the wing mechanism preventing to deform the wings and also making a decent thrusters attachment possible. I also wanted to add landing gears on the back, if possible. During the re-designing process I saw in this forum that others are also working on mods for this model in order to fix the problems I listed above. I studied their solutions (Dameronian, khatmorg, Gouniaf, Vodnik - thank you for motivating me) as well but in the end I just went on my way. Built that way the rubber rings can held the wings (even the bottom ones) strong enough. 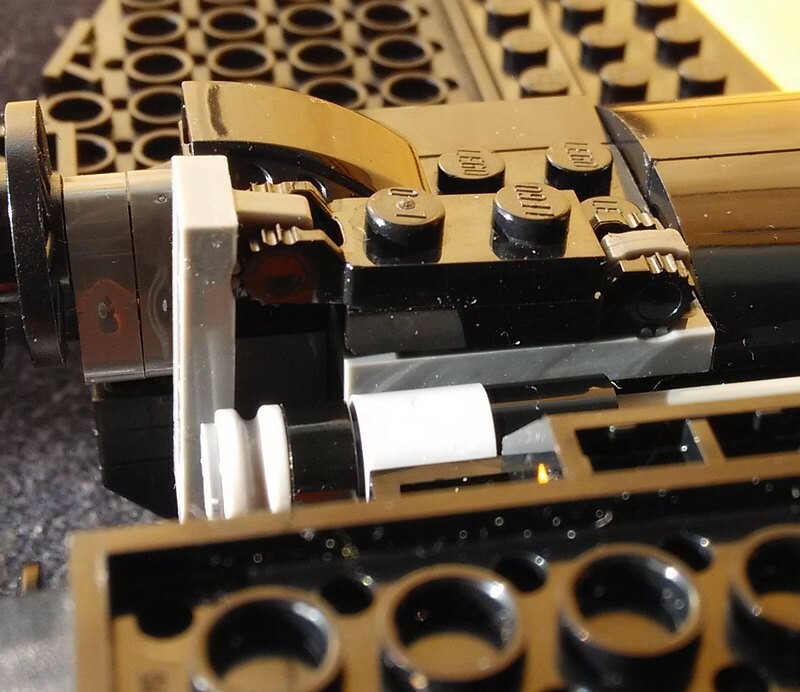 Actually, it needs now much more force to open the mechanism than with the original LEGO mechanism. The challenge after that was to build the wings onto this base in a way that it has a one stud gap inside but still remains sturdy. 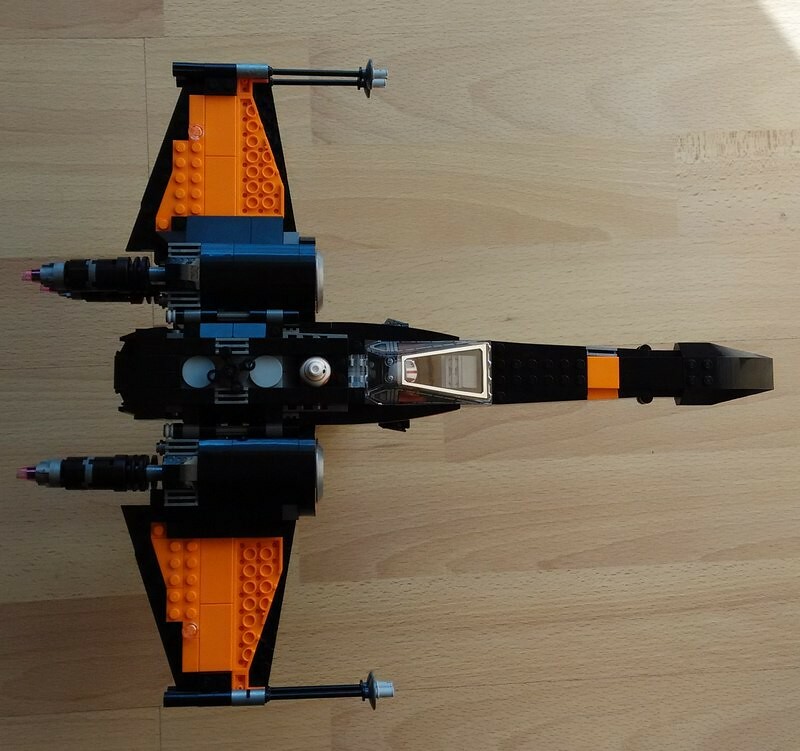 I started to experience in several ways but in the end I chose to keep the L elements (http://brickset.com/parts/4539429) because they give strenght to the build. But in order to keep them I had to redesign the engine intakes too. I tried to reduce the color scheme to orange/black as much as I could. 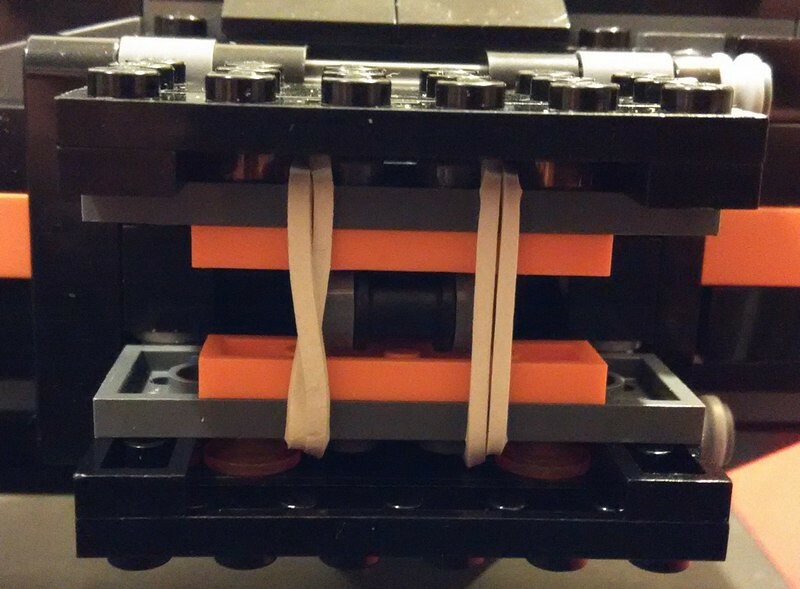 I also swapped some bricks (mostly greys) which were randomly put in the middle of orange or black areas. (There is only one place where it is not possible without jeopardizing the sturdiness of the model.) 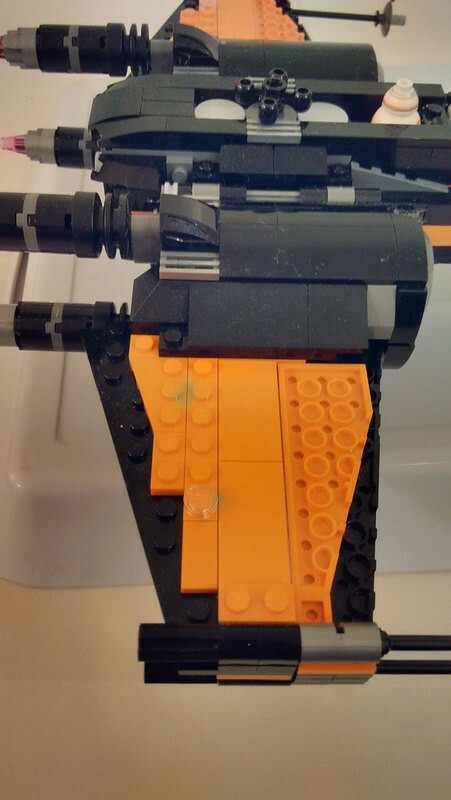 The set is also a goldmine for orange bricks (hidden in from outside not visible areas), so I disassembled the model and swapped these parts with parts of a different colour to get more orange parts to the outside. 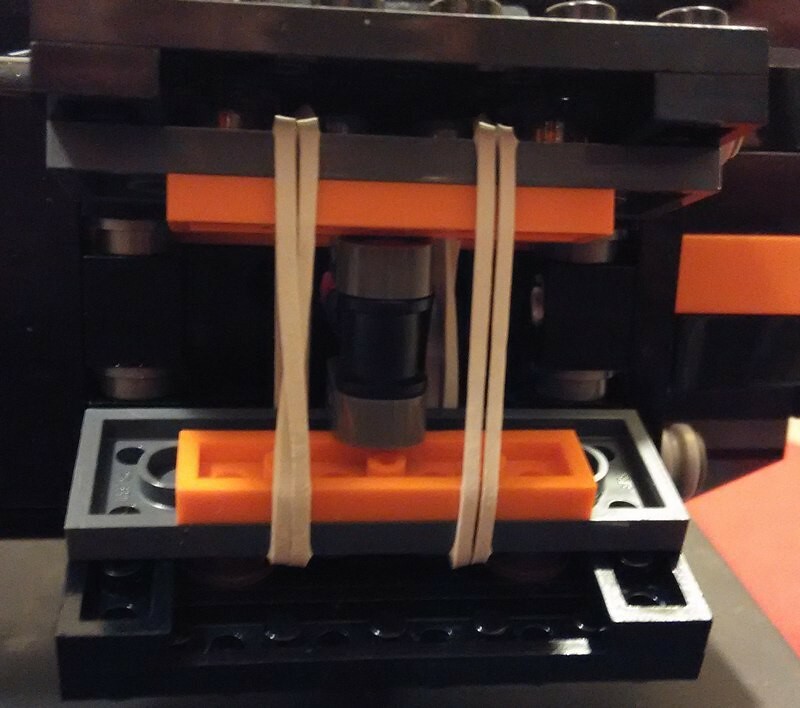 Fortunately I had a lot of black plates at home in different sizes, the MOD is based on them in a great deal. 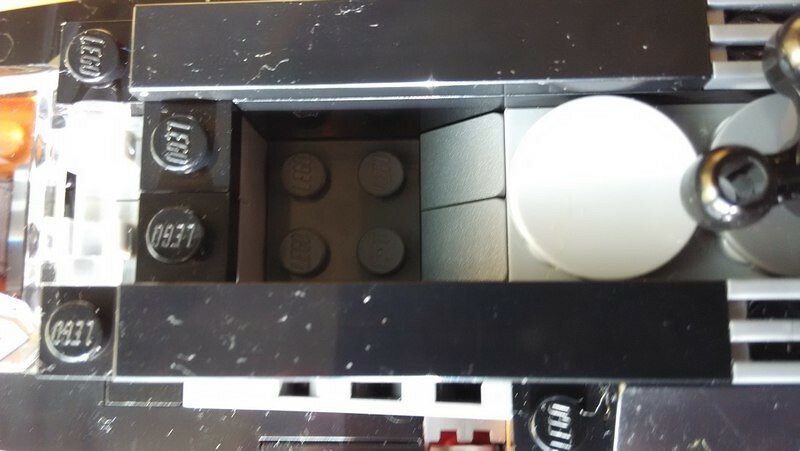 However, I tried to keep as many original bricks from the set as possible. 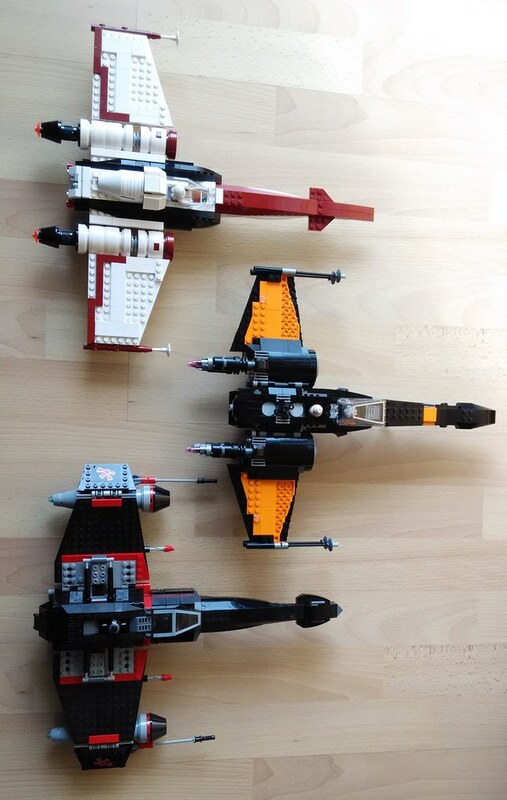 Wow Tyrell and all others in the "Pimp my T70" group (lol), who would have ever thought that the 75102 would undergo more mods than the Kylo shuttle! 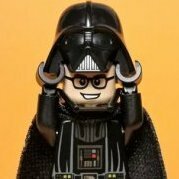 One day in the near future, i foresee that there will be no 75102s out there that are still in Lego factory condition Hahahaha! Keep the mod ideas coming! I like the picture Dameronian. Nice work! Looks a lot closer to the movie version. Thank you BrickJagger and LegoPercyJ! 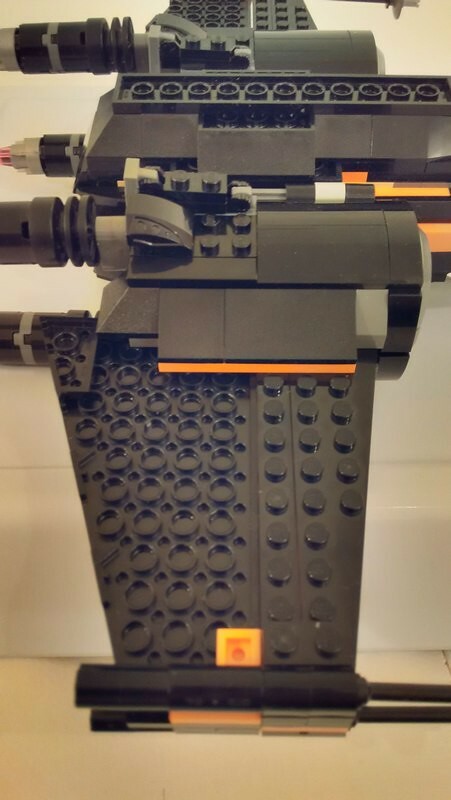 Finally I found a way to make the orange streak on the side of the ship homogeneous (with a little cheat). 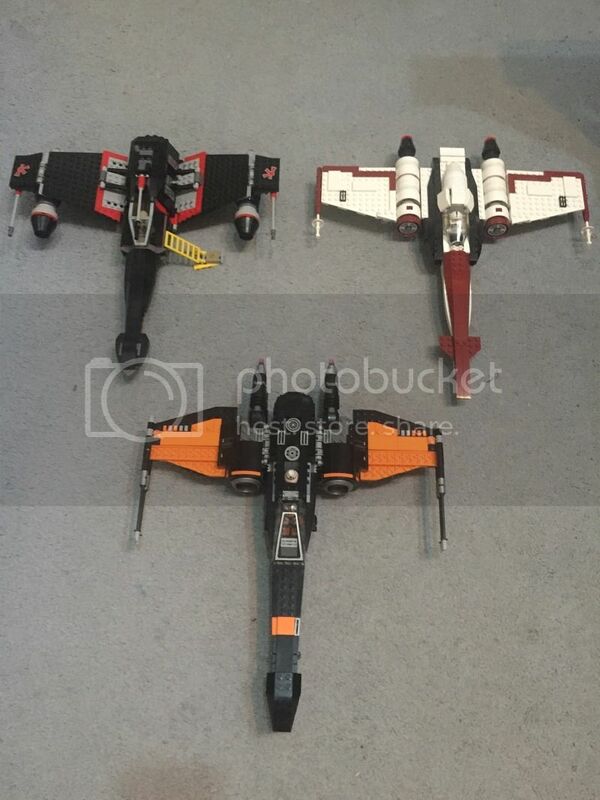 Was this done with existing set pieces only or did you have to add in orange blocks? All of the orange ones are from the set but I had to add many black ones. Fortunately I bought a great amount of basic black plates some months ago so I had more than enough. I did this mod a while ago and I do not remember of the details. But I found .lxf files I created for the left top and bottom wings, I think they could help you. How could I upload them for you? The forum accepts only image files.